All ancient books which have once been called sacred by man, will have their lasting place in the history of mankind, and those who possess the courage, the perseverance, and the self-denial of the true miner, and of the true scholar, will find even in the darkest and dustiest shafts what they are seeking for,--real nuggets of thought, and precious jewels of faith and hope. -- Max Müller, Introduction to the Upanishads Vol. II. This site has no particular agenda other than promoting religious tolerance and scholarship. Views expressed at this site are solely those of specific authors, and are not endorsed by sacred-texts. 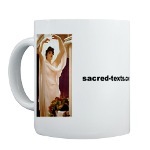 Sacred-texts is not sponsored by any religious group or organzation. Sacred texts went live on March 9th, 1999. The traffic started to increase when sacred-texts was listed at Yahoo! under 'Society and Religion | Texts'. In its first year of operation sacred-texts had about a quarter million hits. By 2004, it was receiving well over a quarter million hits per day. Today, site traffic often exceeds a million hits a day. Sacred texts is one of the top 20,000 sites on the web based on site traffic, consistently one of the top 10,000 sites in Australia, the US and India, and is one of the top 5 most visited general religion sites (source: Alexa.com). Many of the texts included here were originally posted in ftp archives or on bulletin boards before the growth of the World Wide Web and have been lost. In some cases, the texts were posted in such a form as to make them unusable by non-technically oriented users. Some of these texts were on the web at some point but have completely disappeared because the site they were posted on has closed. Thus the need for an archive which organizes this material in a persistent location. From the start, we have had a special focus on remedying the under-representation of traditional cultures on the Internet. The site has one of the largest collections of transcriptions of complete books on Native American, Pacific, African, Asian and other traditional people's religion, spiritual practices, mythology and folklore. While many of these pre-20th century books are flawed due to orientalist or colonialist biases, they are also eye-witness accounts by reliable observers, typically at the moment of contact. These texts are crucial to the study of tribal traditions, and in many cases, the only link with the past. Locked up in academic libraries for decades, sacred-texts has made them freely accessible anywhere in the world. We have scanned hundreds of books which have all been made freely accessible to the world. 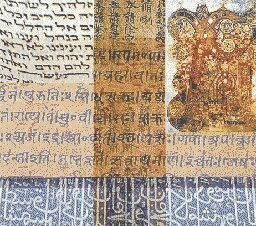 A comprehensive bibliography of the texts scanned at sacred texts is available here. We welcome email regarding typographical or factual errors in any file at sacred-texts. Please write us if you spot an error; include the URL and a few lines of context so we can pin down the location. While all due care has been taken in the reproduction of the texts here, none of the texts or translations here are represented to be sanctioned by any particular religious body or institution. We welcome advice as to errors of fact or transcription. Some of the material here may be copyrighted. It is our hope that the copyright holders may allow these texts to be posted here in the public interest. If you are the copyright holder of record of a text which you believe has been archived at this site in error, please contact us at the email address listed at the bottom of this page. We have made a good-faith effort to determine the provenance of each text and apologize if we have posted a text in error. Note: If you are requesting the removal of a file, you must be the copyright holder of the file, and you must specify the exact URL of the file.